I recently gave you my take on soaring college costs. And in another recent article, I told you that I’ve been using a Coverdell account to sock away money for my own daughter’s future education costs. But we still haven’t talked about 529 plans, which are the most popular way for people to save for college expenses. A 529 plan is a tax-advantaged savings plan designed to help you save for a child’s future college costs. They are issued by individual states, either directly or through brokers. Essentially, there are two types of 529 plans — prepaid tuition plans and college savings plans. As their names suggest, prepaid plans lock in today’s tuition prices at eligible public and private colleges and universities. Many of these plans are guaranteed or backed by the issuing state, and the owner or beneficiary typically has to reside in the state. The way I see it, prepaid plans are great if you’re fairly certain that a beneficiary is going to attend a particular school (or if you’re going to choose for them!). They might also be good for “belt and suspenders” types who want a rock-solid guarantee. 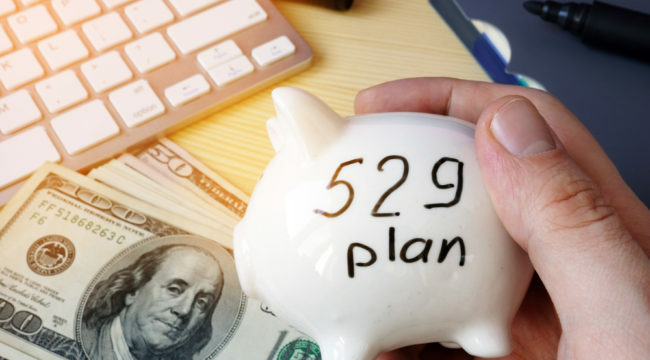 In contrast, regular 529 college savings plans are more like tax-deferred retirement accounts. They don’t lock-in college costs, but they allow you to sock away large amounts of money — some allow hundreds of thousands in contributions. Typically, you are then able to choose from a set menu of investments such as broad-based mutual funds. Unlike a corporate retirement account, however, you can choose what plan you want to join. And it really pays to do your homework! It’s true of nearly any investment account: The fees you pay are going to greatly affect your portfolio’s performance. And despite crackdowns on egregious fees at some 529 plans, you can still find better and worse deals. A general rule to follow is that you will likely pay more in fees and charges when you purchase through most brokerages than you would with a similar plan purchased directly. As you probably know, the quality of mutual funds varies greatly. Not just because of the fees they charge, but also because of their management teams and what investments they focus on. In general, I favor low-cost index funds, especially in long-term accounts such as 529s. Also please note that — based on recent tuition growth — you’ll need an annual return of at least 6% just to keep pace… and a few percentage points more if you want to gain any ground. That argues for a more aggressive asset allocation — meaning a higher concentration of stocks than anything else. All 529 plans are treated the same way for Federal tax purposes: You get no upfront deduction, but your investment earnings grow tax-deferred and withdrawals for qualified education expenses are tax-free. Many allow upfront deductions with generous limits, but you will often need to choose your home-state’s plan. A few states allow deductions no matter what plan you contribute to. And some states don’t offer a tax break at all! Obviously, based on everything I just said, choosing the right 529 plan is a highly individual choice. First, investigate your home state’s treatment of contributions and the plans it offers. Then, if you’re NOT going to get a tax break, look at other low-cost plans next. What’s especially nice about 529 plans is that they always remain the property of the account owner and not the account beneficiary. That means YOU remain in control of whether or not to release the funds for the intended recipient, regardless of age, college acceptance, or other factors. Most plans will let you easily transfer the assets to cover another recipient (practically any family member). Alternatively, you can withdraw the funds and use them for something else. You’d just need to pay income tax and a 10% on any earnings that have accumulated. In other words, you are never penalized for the amount of money you initially contributed. That means there isn’t much risk in establishing a 529 plan for someone you care about. As I said at the beginning, given the high costs, I think it makes a lot of sense to talk to the kids in our lives about whether earning a college degree is the best path for their particular needs, aptitudes, and interests. But practically speaking, there will be no way to have that conversation with my own daughter until the final decision is upon us and it’s too late to adequately prepare. So my personal plan — and the one I recommend to you — is saving now, and deciding what to do with the money later. That’s not just a good strategy for education costs, it’s a good strategy for just about anything in life.